You may find it useful to export only short extracts of your video material for presentations or analysis sessions. You can export selected clips as distinct video files using the Multimedia Browser. These clips can also be inserted as new video files into your MAXQDA project. 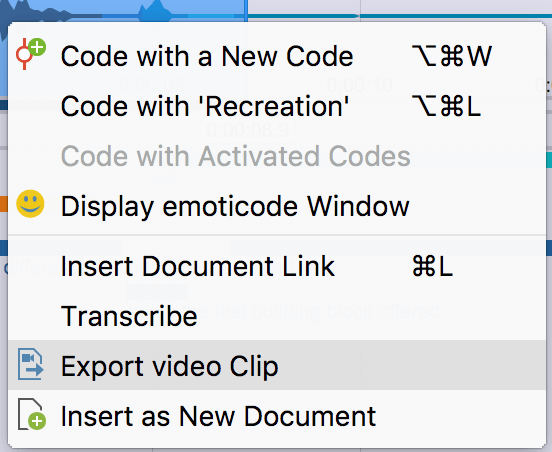 Additionally, you can also export already coded video clips as video files. Select a sequence in your video material in the Multimedia Browser. Right-click on this sequence and select Export Video Clip in the context menu. 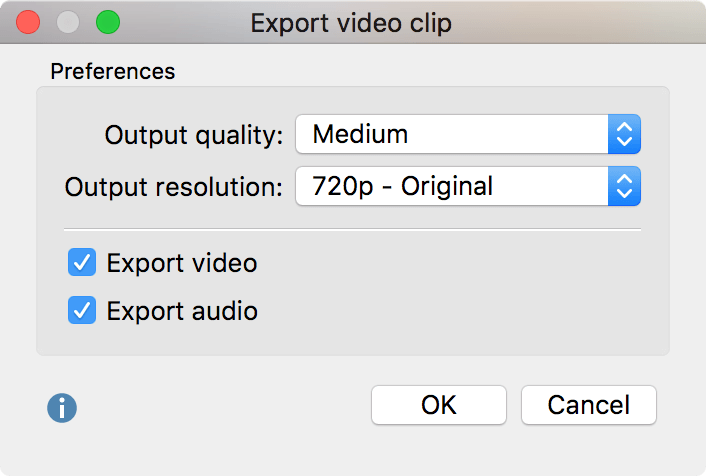 In the dialog window that opens, specify the quality and resolution of the clip you would like to export. To insert a selected video clip as a new document into your “Document System” – in other words, to add it as a new document to your open MAXQDA project – select Insert as New Document in the context menu for the selected clip. Please note: Even if several rows are selected in the table view of the “Retrieved Segments” window or that of the Overview of Retrieved Segments, only the video segment you have specifically clicked on will be exported. In the toolbar, click on the Export coded video clips icon. 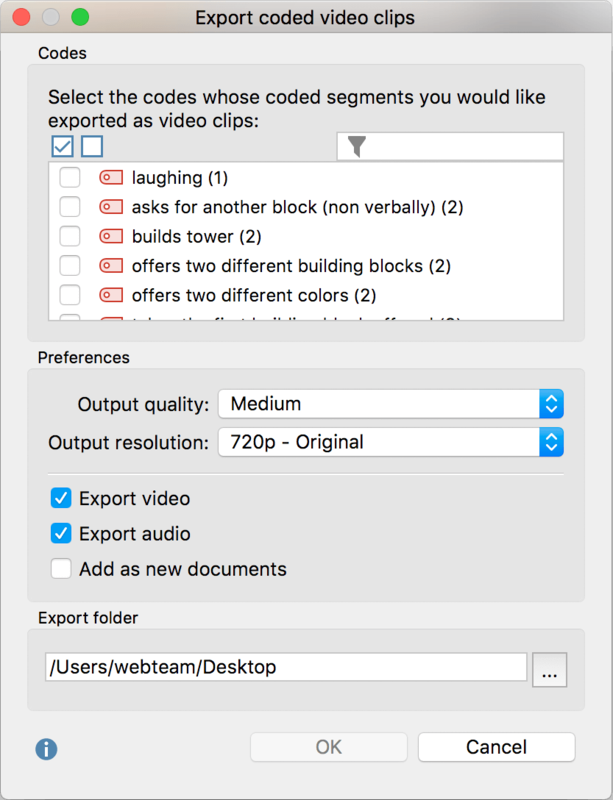 In the dialog window that opens, specify the quality and resolution of the clips and select the codes whose coded video segments you would like exported. Click OK and a window will open in which you can specify a location to export these clips.